Now, recording together for the first time, The Nick Moss Band featuring Dennis Gruenling makes their Alligator Records debut with The High Cost of Low Living, a dream come true for both musicians. The High Cost of Low Living is a tour de force of the classic Chicago blues ensemble sound Moss and Gruenling know, live and love. Although Moss and Gruenling had known each other for 20 years and had jammed together often, it wasn’t until 2016 that they decided to team up full time. Moss’ deeply rooted yet fully modern guitar playing flawlessly meshes with Gruenling’s monster harmonica chops. 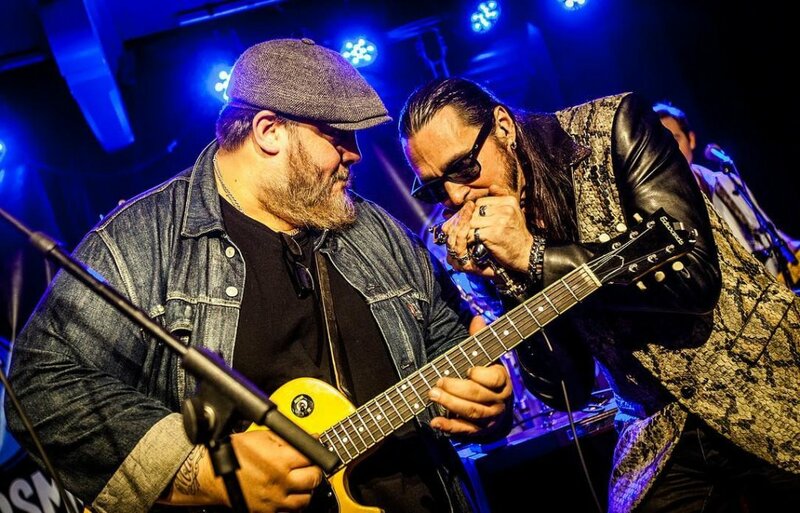 On stage, the two communicate seemingly telepathically, as Moss lays down the deepest blues licks and Gruenling’s harmonica wails and howls in perfect response, with Moss’ top-notch band adding their energy and expertise to the ensemble.